Seniors. Have you ever thought about working in the movies or on commercials? You can work in local TV ads or, if you live near Hollywood, New York or Orlando, you may even get a part in a movie. It helps if you have a certain look, or know another language, have an unusual skill or you are an athlete and can play one on the big screen. But first you need an agent. 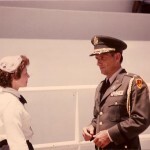 Read about my experience and see if you would like being called to work in the movies. I give the experience two thumbs up. In the summer of 1984 I did some work in the movie “SPACE,” a CBS mini-series about 25 years of space history, including the flight of the fictional Apollo 18 to the moon. It “was supposed to happen in real life but didn’t. Apollo 18 was axed in the early 1970s by the budget-cutter’s wrath. Axed, that is, until James Michener recreated the mission in his epic novel “SPACE” and Paramount movie-makers brought Michener’s account of the flight to life.” Frank Yacenda, Today science writer. I was driving back home through Orlando when I heard on the radio that The Christensen Group in Winter Park, Florida was looking for extras, also known as atmosphere-people dressed up to look like people you see on the street, doing their jobs, sometimes interacting briefly with the stars. Your best chance of getting hired is to fall withing certain height and weight standards so you can play a number of roles. For example, if you are 7 feet tall and weigh 440 pounds, your chances of steady work are slim, unless they start to make a lot of basketball films. In my case, I also once worked at Kennedy Space Center and that got me in. 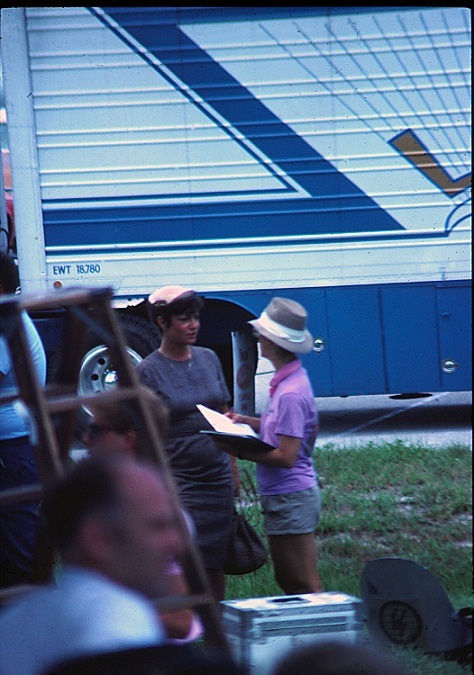 We filmed at sites on Cape Canaveral Air Force Station and at Kennedy Space Center. 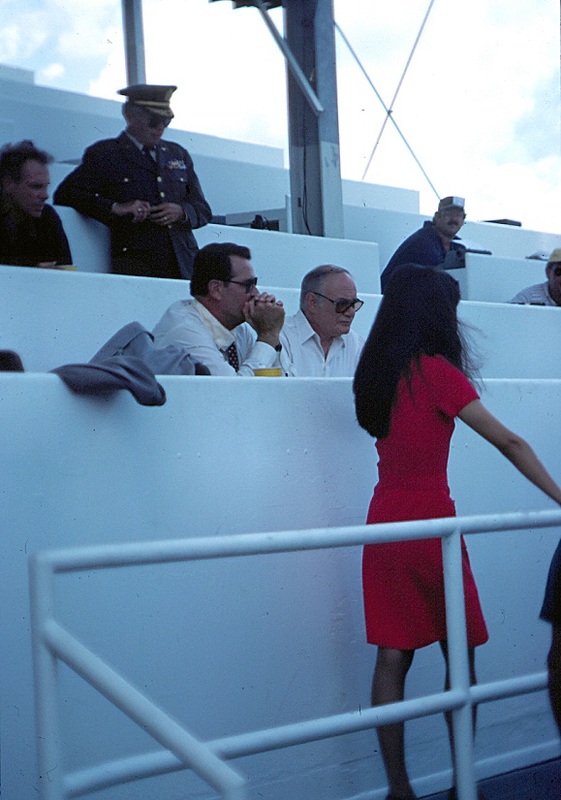 At KSC we sat in the stands, facing east toward the ocean and the launch pads lined up along the beach. Then our coordinator got us together and briefed us on our duties, mainly staying ready to change into costumes and play the next scene, and following the director’s instruction. And she kept up with our work schedules. If you prove dependable, you can get work in other movies as well as advertisements. If you have some special talent, who knows what could happen. If you can speak other languages, say Arabic or Spanish, you could possibly get a speaking part, which pays more, even for just one line. Click image. Gene Tate, who lived near Winter Park, was a silver haired gentleman who cut grass for a living. But Gene had already been in several movies, including “Porky’s,” Porky’s II” and “Honky Tonk Freeway.” He also posed for ads in newspapers and magazines. Gene, who looked like a banker or CEO in a suit, said he had modeled fine gentleman’s suits and once posed beside a luxury car. He got $400 for one such job. The best part of making the movie was the caterer from Las Vegas who provided us with some really fine food, all you could eat. 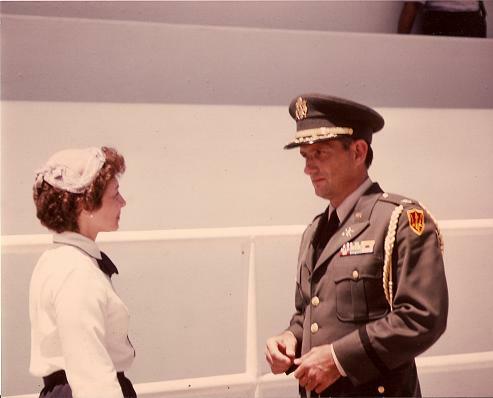 I stayed under the roof of the viewing stand because of the heat and humidity and I was dressed up as a colonel in a full dress uniform. I also talked with other extras and learned a lot about their lives. But a book to read does come in handy when they are having problems setting up a scene. 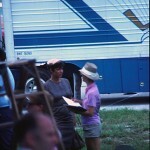 On Cape Canaveral Air Force Station, we did several scenes in the old launch control building. The day’s shoot lasted until the sun went down. During the day there were long delays as the scenes were set up. I played the part of a NASA engineer and a flight surgeon. As an engineer, I walked up and down the control center checking on each monitor’s station. 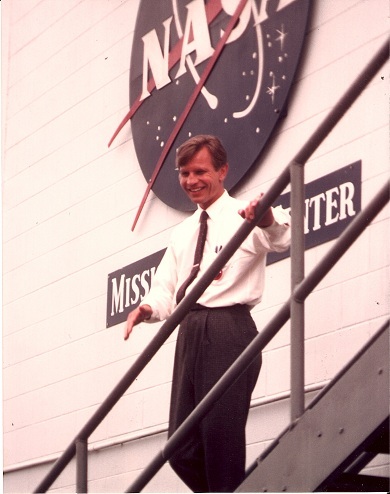 Michael York was at the filming in the launch control building. 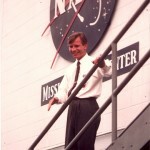 York played the part of Dieter Kolff, a German rocket expert who made it to America after Germany lost World War II. During the lulls we all sat down in the launch viewing room for visitors. Before long, the chairs were rearranged in a rough circle and anybody who wanted to, joined in the conversation. 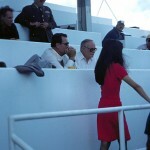 That included actors Blair Brown and James Garner. Garner was the same as you saw him as a private investigator or a sheriff in a western. The same slow, low- key delivery with his jokes and more serious topics. On the whole it was a good experience. Bruce Dern, for example, stopped by our group after a scene at a launch pad and said thanks for making it smooth and realistic and encouraged us to return for the rest of their filming. Like any job, people notice when you do it right.